PETALING JAYA: A parcel of land in Kuala Lumpur’s shopping district of Bukit Bintang has been acquired by Urusharta Cemerlang (KL) Sdn Bhd at a record price of RM210mil from CDL Hotels (M) Sdn Bhd, a unit of London-based Millenium & Copthorne Hotels plc. At 29,127 sq ft, the land parcel located between Grand Millenium KL hotel and the Pavilion KL mall would be acquired for approximately RM7,209.80 per sq ft, surpassing estimates in earlier reports that the sale could fetch more than RM3,000 per sq ft or around RM96mil. This would also dwarf previous transactions for real estate in the city centre, where Sunrise Bhd had bought the 24-storey Wisma Angkasa Raya along Jalan Ampang for nearly RM180mil or RM2,588 per sq ft in 2008. 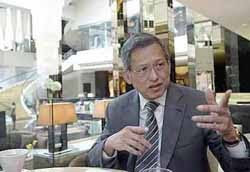 Millenium & Copthorne is a company controlled by Singaporean billionaire Kwek Leng Beng via a 53% stake in Singapore-listed property and hotel group City Developments Ltd.
Kwek is also cousin to Tan Sri Quek Leng Chan, who helms the Malaysian operations of the Hong Leong group, while the former helms the Singaporean operations. The sale to Urusharta Cemerlang, which owns and operates the Pavilion KL mall, ended several weeks of speculation on who would acquire the parcel of land. The YTL group, owner and operator of the nearby Starhill Gallery and Lot 10 malls as well as the JW Marriott Hotel, was said to be interested in acquiring the parcel. Urusharta Cemerlang is 51% owned by Urusharta Cemerlang Development Sdn Bhd, with the remainder of the stake owned by the Qatar Investment Authority (QIA). The QIA, which is the principal of Pavilion International Development Fund Ltd, owns the Fahrenheit 88 mall via Makna Mujur Sdn Bhd. The mall will be operated by Urusharta Cemerlang. The land was slated for a RM500mil serviced apartment project comprising a 42-storey block to be known as the Millenium Residences. The project was launched in 2008 but has since stalled following the recession and the slower demand for high-end residences in the city centre.